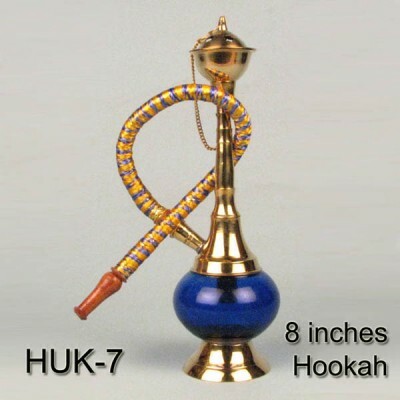 Here we present 6 inches tall mini shisha hookah. Popularly known as hubbly bubbly. 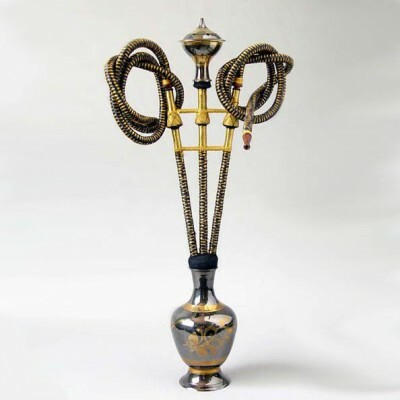 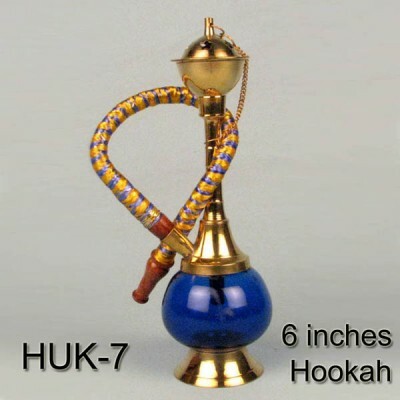 This hookah is made of full brass metal with the coloured glass bowl that holds the water. 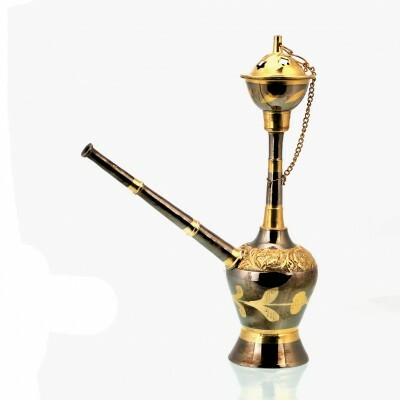 Made in antique finish look.